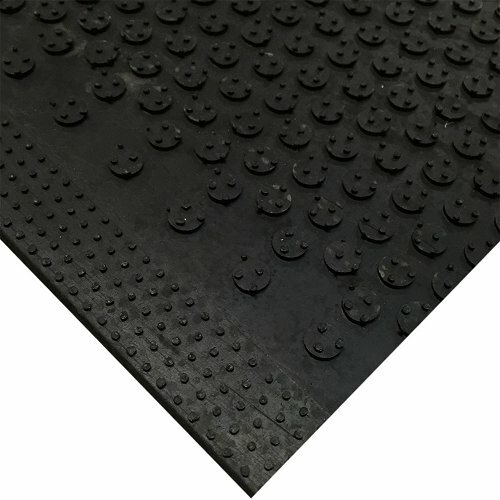 The Safety Scrape mats grip style surface with cleats effectively scrapes tough dirt and grime from shoes and provides an excellent anti-slip surface. Being 100% Nitrile rubber it is oil and chemical resistant. 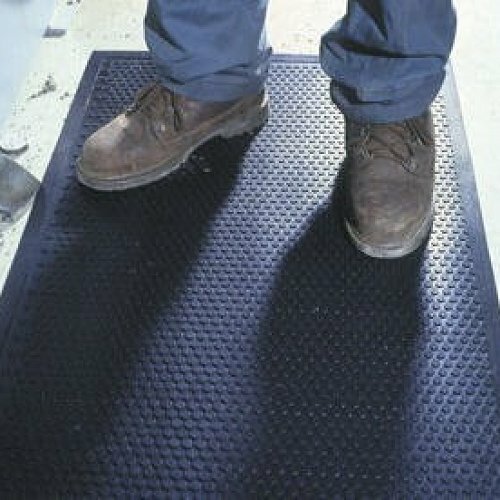 This is a great entrance or exit mat for areas that have dirty work boots. It is also Anti-Static and UV stable so it won’t fade in the harsh Australian sun. A fantastic mat for environments where traction is essential. Ideal for kitchens, locker rooms or workshop entrances, on the inside or out. The anti-skid gripper backing will keep the mat in place, even on inclines. 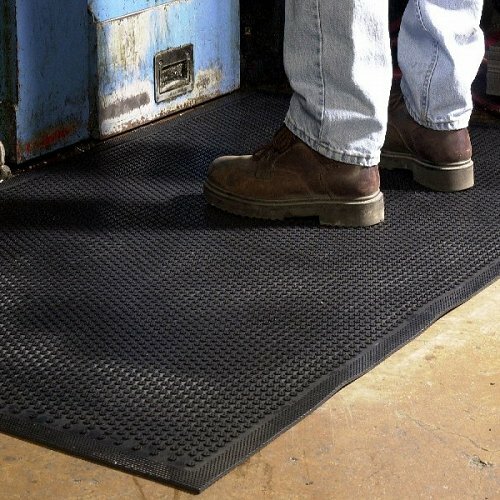 This mat is also green friendly with 20% recycled rubber content and being a USA import it has been certified slip resistant by the National Floor Safety Institute. Uses : For use in wet, oily and slippery areas.